A popular product for repairs and reinforcing sheds and furniture among other uses. 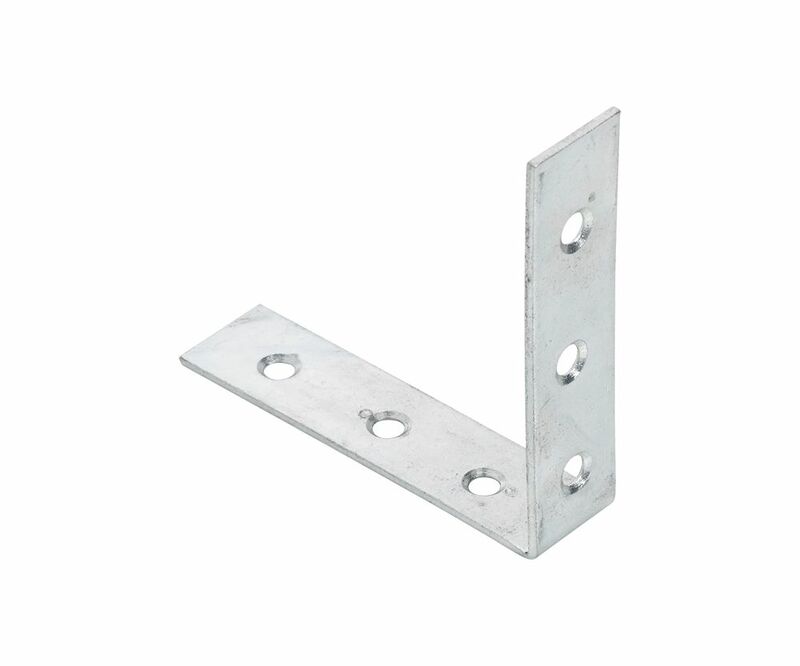 The Corner Brace is an L shaped plate of mild steel with pre-drilled fixing holes along the length. The fixing holes are countersunk inside and out. The steel has a zinc coating which will protect again rust and corrosion. Available in a range of sizes to suit a wide variety of applications. Please note: sold in packs of 10 units and includes fixings.